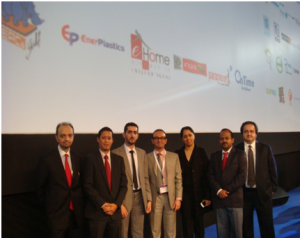 EnerPlastics LLC a masterbatch manufacturing company specializing in the production of tailor made color and additives masterbatches in Dubai – United Arab Emirates, Enerplastics was ranked number 6th place in Dubai Small Medium Enterprises amongst 72,000 SME’s in Dubai. Dubai SME was launched by the Mohammad Bin Rashid Establishment for SME development (Dubai SME). The SME sector in Dubai is a major driver of the economy, accounting for 95 per cent of the enterprises and 40 per cent of the workforce in Dubai and contributing 42 per cent of the annual value-add created by the emirate. This great achievement could not have happened without the support of the company’s customers and business partners in 35 countries in over the world and without the successful strategic planning of the company which emphasize on the product quality as a first priority. 1. Of the 100 ranked SMEs, based on the Dubai’s official SME definition, 15% are classified as micro SMEs, 52% as small SMEs and 33% as medium-sized SMEs. 2. In terms of sectors, 62% are from the Services, 13% are from the Manufacturing and 25% belong to the Trading Sector. 3. The combined turnover of the top 100 SMEs based on their latest financial records is estimated at Dhs2.3bn. Their estimate total assets are worth at Dhs1.4bn and the combined profit is Dhs220m. 4. Together, the top 100 SMEs in Dubai have 4,319 employees.